If The Public Shouldn’t Have Them, Why Does the IRS Need AR-15s? Here we go again. Stuck in the aftermath of a horrific shooting and all politicians think to do is scheme about how to take more rights from the citizenry. There are no good guys here. The Democrats want to railroad over due process by denying firearms to people on Orwellian watch lists, while Republicans plot to give the FBI more warrantless surveillance powers. This is the authoritarian knee-jerk response to tragedy we get from the U.S Congress. Hypocritically, when it comes to foreign policy, all we hear are incessant calls for more militarism, more war and more regime change. As I warned in yesterday’s post, Is the Syrian War About to Experience a Major Escalation? — 51 State Department officials just issued a cable calling for the bombing of Syria’s Bashar al-Assad. An event likely to lead to direct confrontation with Russia. While all of that is bad enough, the U.S. government continues to eagerly and aggressively arm non-defense federal employees with weapons of war. 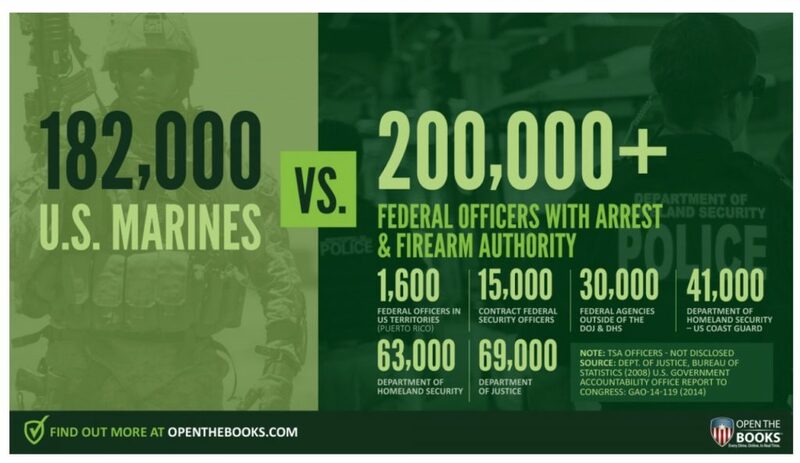 The number of non-Defense Department federal officers authorized to make arrests and carry firearms (200,000) now exceeds the number of U.S. Marines (182,000). For more, let’s take a look at a few excerpts from their piece, Why Does the IRS Need Guns? Posted on June 27, 2016 Categories Big Government, IRS, News, Second AmendmentTags Big Government, Government, IRS, Marines, Second Amendment1 Comment on If The Public Shouldn’t Have Them, Why Does the IRS Need AR-15s? We don’t pity John Koskinen. We watched a good deal of the IRS hearings as they unfolded and it was fairly obvious a cover-up was taking place. The people involved either weren’t telling the truth or were subject to convenient memory lapses. It was obvious that higher-up officials at the IRS, presumably at the behest of the Obama administration, has schemed to delay the non profit status of Tea Party groups opposed to Obama. It was obvious as well that no matter how much evidence was collected by the committee under Republican leadership, the Democratic Department of Justice would not bring an indictment. IRS officials destroyed emails by “accident” while blaming the actions of the IRS on out-of-control low level individuals. The woman at the center of the scandal, Lois Lerner, resigned and took the fifth. The Committee talked about indicting her as a first step to putting her in prison, but nothing has happened. The cover-up went all the way to the top. Koskinen himself, while giving the appearance of being cooperative, always seemed a step behind the investigation. There were many things he didn’t know about. And after a while it became obvious that he didn’t want to know. Koskinen’s job, as an Obama appointee, was to clean up and move on. Blame was duly apportioned … The agency’s boss resigned, a top deputy retired, and the director of the offending unit was placed on leave and declared in contempt of Congress. Half a dozen congressional committees vowed to fumigate every pixel of offending detail. One managed to produce an 8,000-page report. It certainly sounds like there were repercussions, but not really. Someone retired. Ms. Lerner was questioned by Congress. A voluminous report was produced and ignored. 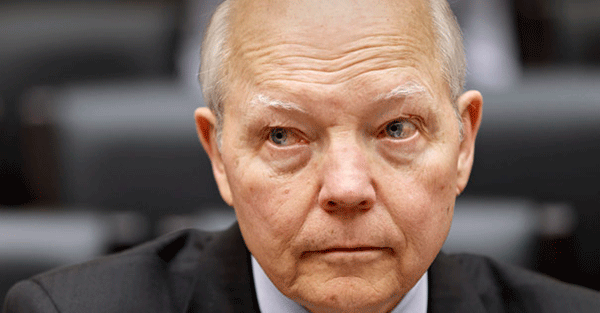 Delaying non profit status of anti-Obama groups was only the latest IRS sin. The entire conference cost upwards of $3 million and the IRS later warned expenses could exceed $5 million. The agency didn’t know exactly how much because no one was keeping track of costs. And that’s the real problem: government doesn’t operate like a normal business.